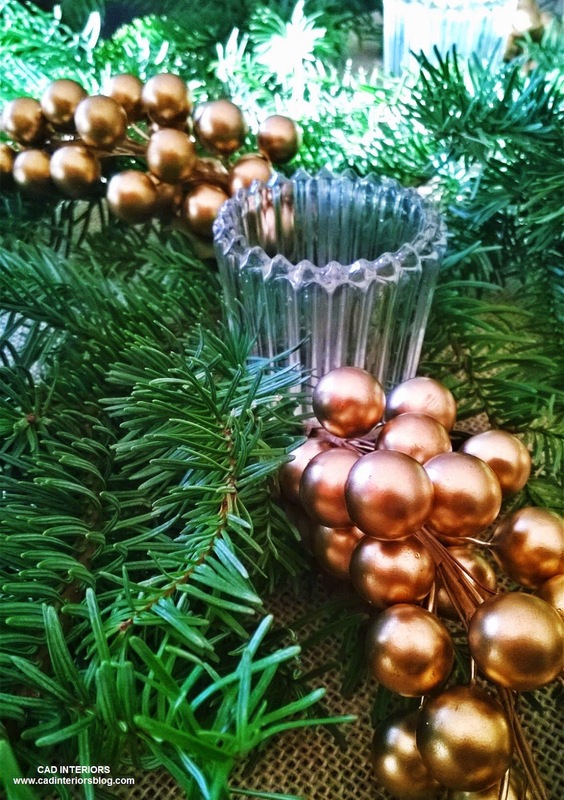 What better season than the holidays to add a little shine and sparkle to your home decor?! 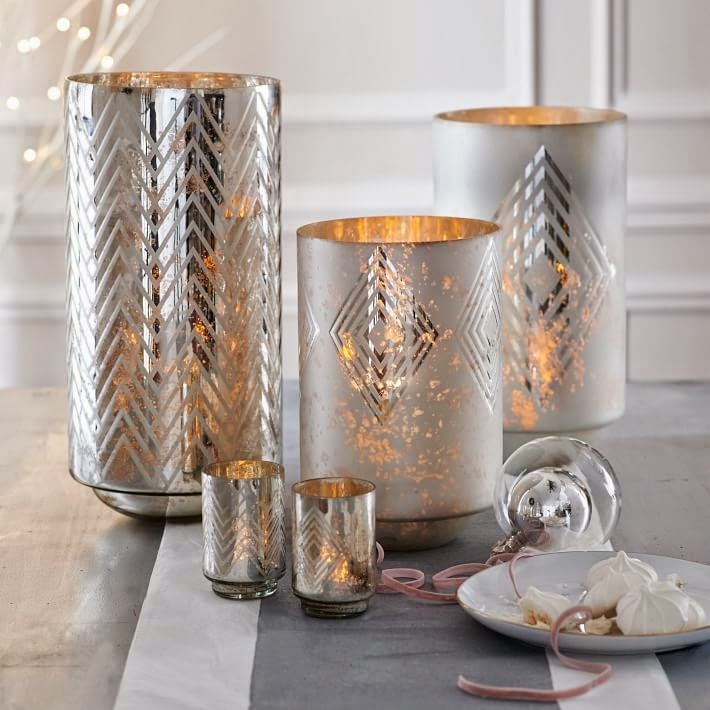 Decorative accessories with metallic, shimmery, or sparkling finishes are another holiday favorite of mine for the home! Like faux fur accessories, these decorative elements can adorn your homes all year long! 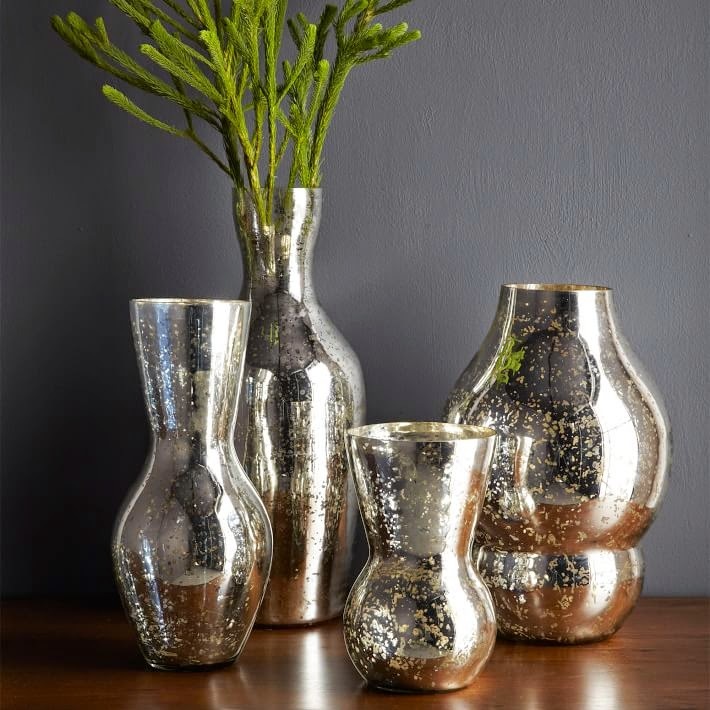 Mercury vases make beautiful decorative and functional accents - during the holidays and year-round! They can be filled with greenery, sticks/branches, flowers, etc. A grouping of various-sized vases look beautiful as-is when arranged together. Candle holders are an effective way to add some shine and sparkle to your holiday decor. 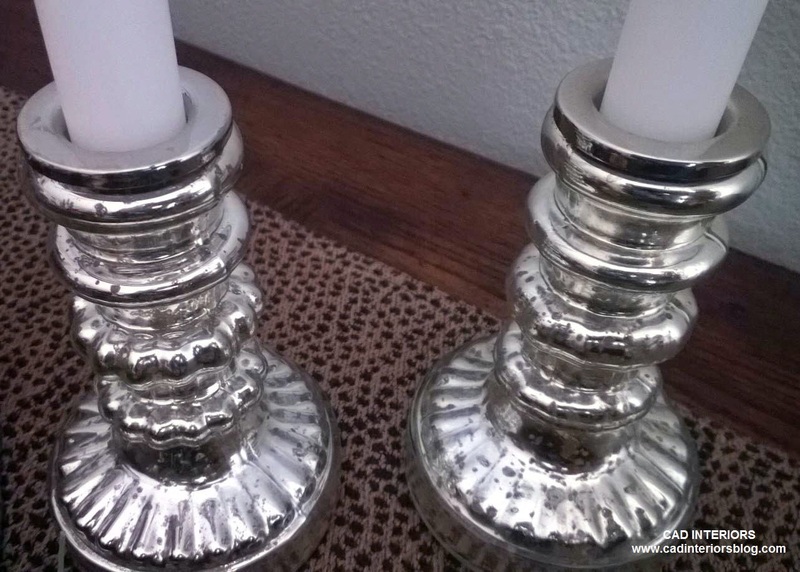 I love this set of antique mercury glass candle holders that our neighbors gifted us last Christmas. They are functional and beautiful, which is right up my alley! 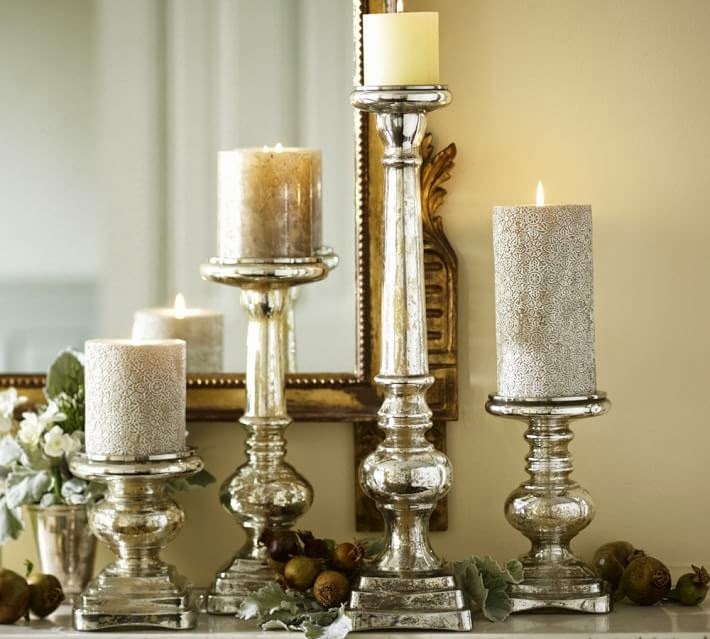 Tip: Silver or gold candles are another great way to bring in the shimmer. 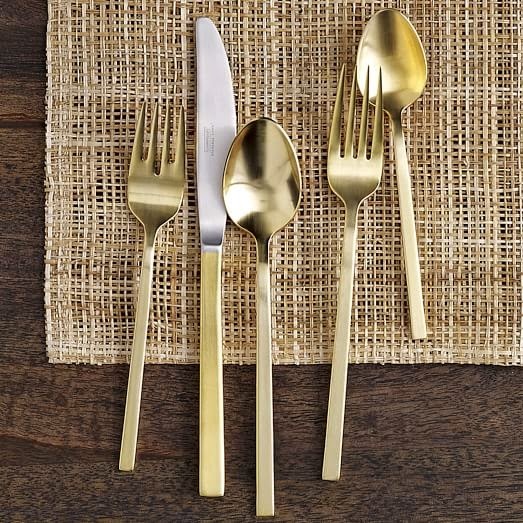 How beautiful would this set of gold flatware look on your holiday dinner table?! These serving trays are so practical. Need a last minute gift?! 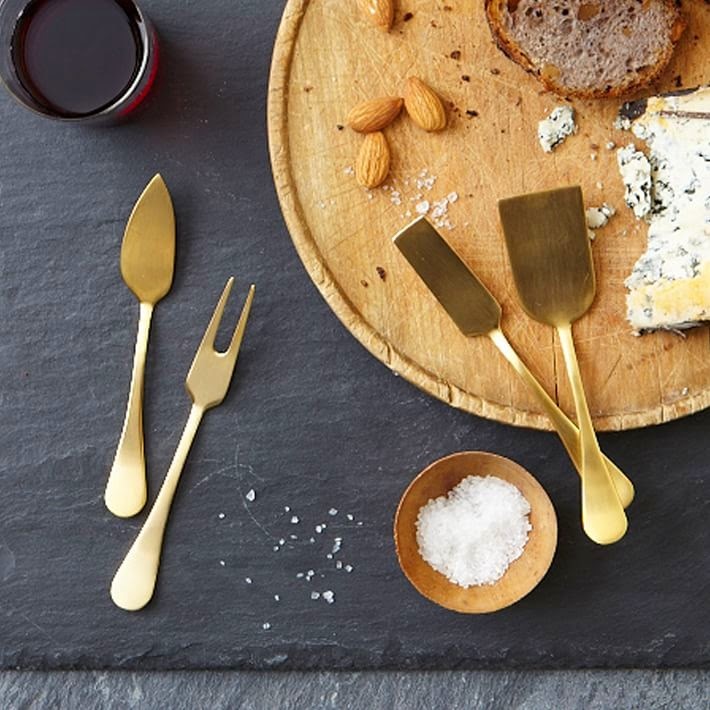 This set of gold cheese knives are beautiful. Mix in some gold with natural greenery! 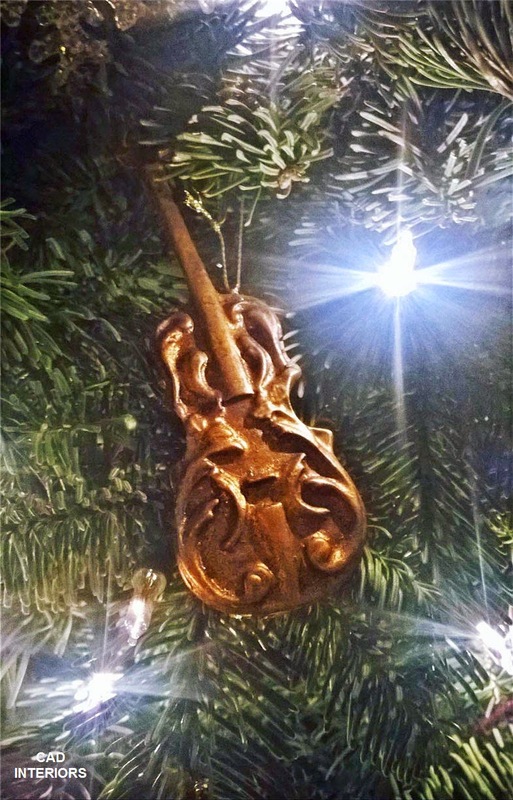 Add some gold ornaments to your tree. They add a dash of sparkle and luxe! Tip: Don't have anything with a gold finish?! 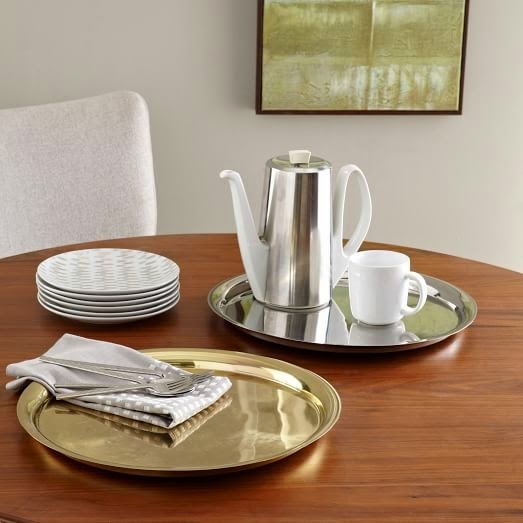 Use spray paint to give something you already own a new gold finish (except on items that make contact with food)! It is such a quick and inexpensive way to change the appearance of something. All that glitters is the epitome of shine and sparkle, don't you think?! During the holiday season, I typically incorporate glittery elements through our tree ornaments. 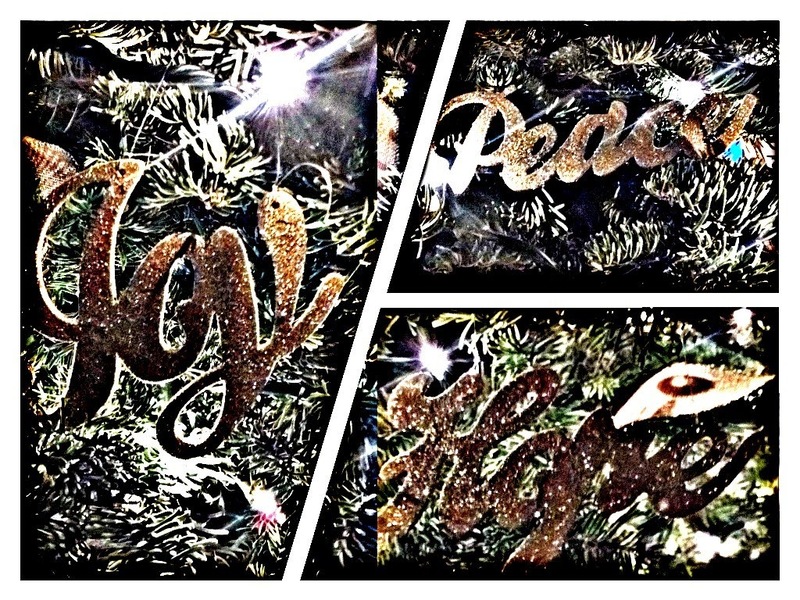 Tip: Glitter spray paint is a simple and cost-effective way to add a glittery element to your holiday decor. You could also use glitter glue or glitter markers on simple gift wrap to dress it up a bit! 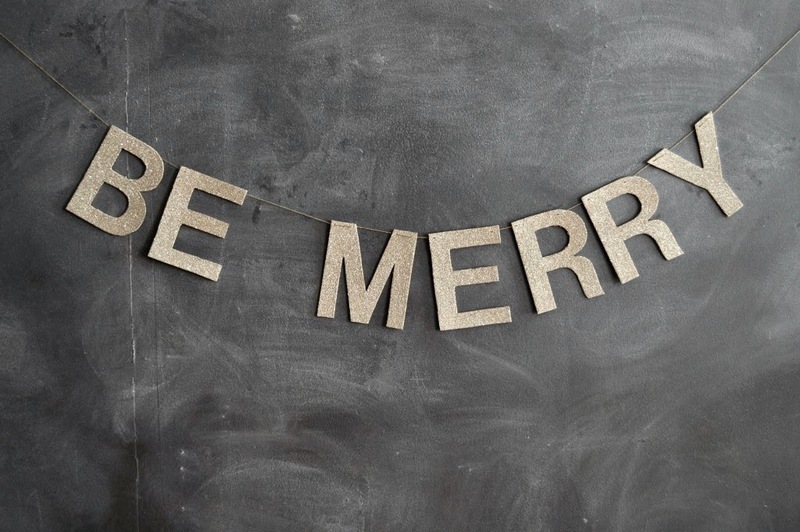 String some "glittery" letters together to make a garland! We are kicking it off by celebrating my son's birthday, who turns TEN today!! !